History Associates established an endowment fund in honor of Carl W. Ubbelohde, the Henry Eldridge Bourne Professor Emeritus of History, who passed away in December 2004. 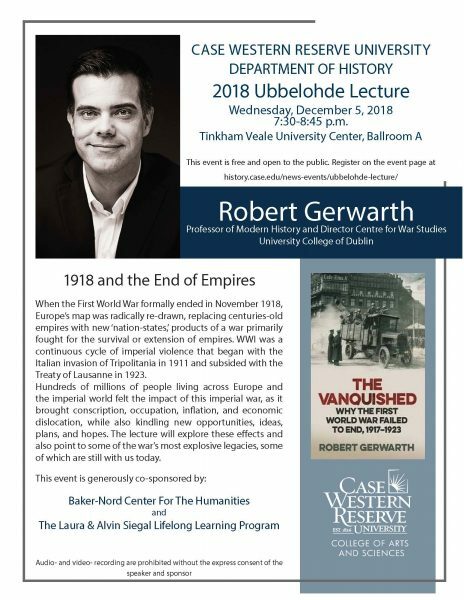 This fund supports the annual Ubbelohde lecture by a visiting scholar, which is free and open to the public. Topics are selected to have a broad appeal, and each event allows time for audience questions. Post-lecture receptions enable audience members to speak individually with the lecturer as well as with CWRU History Department faculty and History Associates members. Harvard University What Ails Democracy?